There are many differences in Hispanic consumers who have resided in the United States for years versus recently immigrated Hispanics. 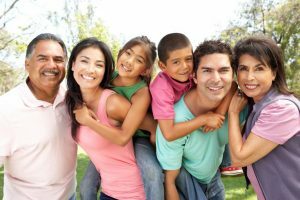 It is expected that the longer the Hispanic consumer has lived in the United States, the more they will have adapted to the cultures and traditions of Americans. However, it is not to say that the Hispanic consumers have forgotten their own cultures, they have simply infused the American culture with their own otherwise known as acculturation (Goffan, 2016). Different levels of acculturation are used to describe the Hispanic market, the levels range from non-acculturated to semi-acculturated to fully acculturated. Each level is dependent on time spent living in the United States, education level and socioeconomic status in the country of origin (Goffan, 2016). Essentially, the longer the Hispanic consumer lives in the United States, the more they are exposed to the new culture. If the Hispanic consumer has attained a high level of education they are more likely to understand the customs of the new culture. Lastly, if the Hispanic consumer had socioeconomic status A or B in the country of origin, this will determine the likelihood that they have already been exposed to diverse cultures prior to immigrating to the US. One of the main observable differences in the levels of acculturation is the Hispanics’ consumer language preference. Those who are un-acculturated prefer to speak Spanish, the semi-acculturated consumers are bilingual and the fully acculturated prefer to speak English (Geoscape, 2016). Interestingly, new measurements of acculturation has discovered that Hispanics lie in levels ranging from 1 (fully acculturated) to 5 (un-acculturated). Hispanic Acculturation level 1 (HA1), is categorized as Americanizado. Hispanics in this segment are typically English dominant (nearly no Spanish); born in US and often 3rd+ generation; and engage in little-to-no Hispanic cultural practices (Geoscape, 2016). The group Nueva Latina (HA2), are typically English preferred (some Spanish); born in the US and typically 2nd generation (Geoscape, 2016). HA2 does engage in some Hispanic cultural practices and often they make the active decision to rediscover their origin culture, “retro-acculturate”. Essentially, if the Hispanic consumer does not feel “Hispanic enough” they will attempt to engage in Hispanic customs, such as cooking, listening to music, etc. Bi-Cultural Hispanics (HA3), are typically bilingual speakers who immigrated to the US as a child or young adult (Geoscape, 2016). The Hispano group (HA4), prefer to speak Spanish and immigrated to the US as an adult (Geoscape, 2016). HA4 have lived in the United States for more than 10 years, however, they continue to practice the Hispanic culture. Those who recently immigrated to the US, and who have not experienced any acculturation as labeled Latinoamericana (HA5) (Geoscape, 2016). As a Hispanic immigrant I would describe myself as in-between acculturation levels HA2 and HA3, HA 2.5, meaning I am bi-cultural however, my dominant customs are from my Cuban origin. I arrived to the US at the age of one, my parents however, only taught me about Cuban customs. Due to a lower level of education and a low SES in Cuba, my parents did not acculturate, therefore, they did not teach me American customs. My acculturation process began once I attended the American public school system. During the school day I would learn new American customs and at night I would continue engaging in the Cuban customs my parents taught me. The consumer difference of acculturated Hispanics versus non-acculturated Hispanics is evident in the usage and disposal of products and services. For example, the floor mop used by acculturated Hispanics will likely have the white bottom, however, unacculturated Hispanics will use a stick and a rag; el palo de trapear y una toalla. Another example is that acculturated Hispanics may drink American coffee, whereas unacculturated Hispanics will drink cafecito, or Juan Valdez café. Geoscape. (2016). Actionable Intelligence to Accelerate Growth. Posted in Hispanic Millennial Insights Blog. Tagged as acculturation, bicultural, center for hispanic marketing communication, culture, Geoscape, hispanic, hispanic marketing, hispanics, laicelis haro.